Bruce Springsteen won't be spending Labor Day down the Jersey Shore, instead spurning his home state for the greener pastures of Citizens Bank Park in South Philly. On Wednesday the New Jersey native announced a second CBP show slated for Sept. 3 in addition to his previously announced Sunday, Sept. 2 show. "If you were fortunate enough to get tickets to their recent performances at the Wells Fargo Center, you saw something special," says Larry Magid, President of Larry Magid Entertainment Group. 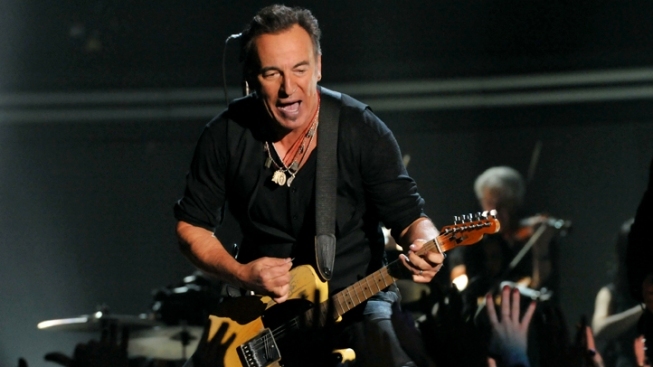 "Here's an opportunity for what promises to be 2 more great E Street shows in Philadelphia." The Wrecking Ball World Tour in the U.S. and Canada also includes stops in other baseball parks including Wrigley Field, Nationals Park and Rogers Centre. You’ll recall that New Jersey Gov. Chris Christie (who attended his 127th Springsteen concert at the Wells Fargo Center late last month) had made an appeal for the New Jersey-born rocker to play at the new Revel Casino & Resort in Atlantic City for Labor Day Weekend. Instead "The Boss" is hitting the home of the Phillies while the Phightins are on a road trip to Atlanta and Cincinnati. Tickets for both CBP shows go on sale 10 a.m. Saturday at comcasttix.com.